As St Petersburg is a cultural capital you will see a lot of interesting literary places there. 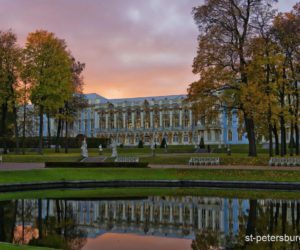 Saint Petersburg is like a granite book, whose pages were written by world famous Russian writers and poets in particular Pushkin, Griboyedov, Lermontov, Gogol, Nekrasov, Dostoevsky, Blok, Nabokov, Akhmatova, Esenin and many others. There are plenty of memorials and museums connected with writers, their life in St Petersburg and literary characters, created by them. You can see and explore this during my private tours and excursions.